If You are Acquiring Baby Boythen Above given wazifa is very powerful to get baby boy.This Wazifa take 7 days and you have to read this after Namz-e-Fajar and Namaz-e-Maghrib. 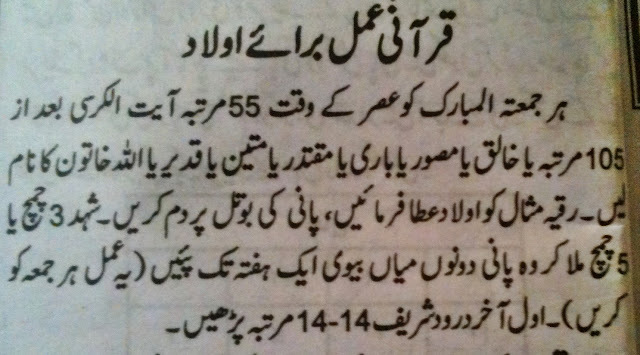 Please offer five time namaz. If you do not have Child and Acquiring Aulad the read this wazifa after Namaz e fajar 100 times daily till 7 or 15 day.
" Astaghfir Ullahul-la-Zi laa Illahaa Illa-Howaar Rehmanor - Raheemool - Haaiyoul Qayoomoo wa atooboo eelayhee. " Durud Sharif 3 times again. after reading this take 375 ltr Milk and do dam on that milk and drink both mean husband and wife. 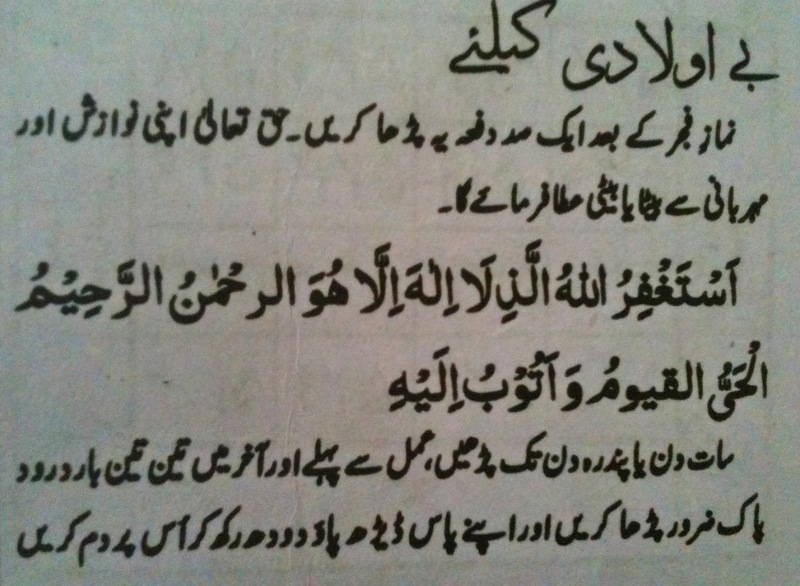 You have to do this wazifa only on friday at Asar time. 105 times " Ya Khaliqoo, Ya Musaweroo, Ya bareeyoo, Ya Muqtaderoo, Ya Mateenoo, Ya Qadeeroo, Ya Allahoo " then take the name of that lady who want child for example Ay Allah Ruqiya-bin- Raziya ko Oolad Ataa farma. 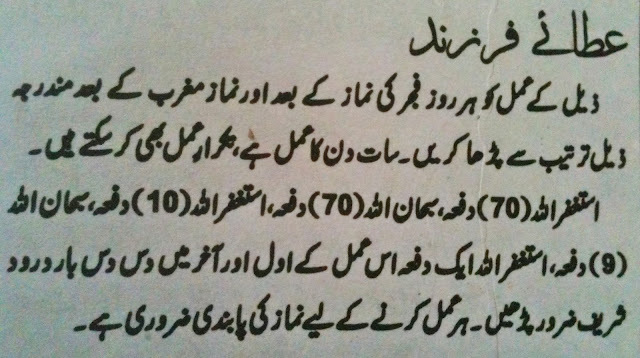 Do dam on water bottle and add 3 to 5 table spoon honey into water in the bottle and drink this water for 1 week, next friday do gain this wazifa and do same as you did before and again drink that water for 1 week. you have to do this wazifa once in a week.